In order to make a Raspberry Pi do work for you, you will need to install an operating system for your Raspberry Pi. Since Raspbian is the official Raspberry Pi operating system, it is well supported by the community. When you are implementing Raspberry Pi projects that do not require a desktop environment, it is more efficient to install Raspbian Stretch Lite. 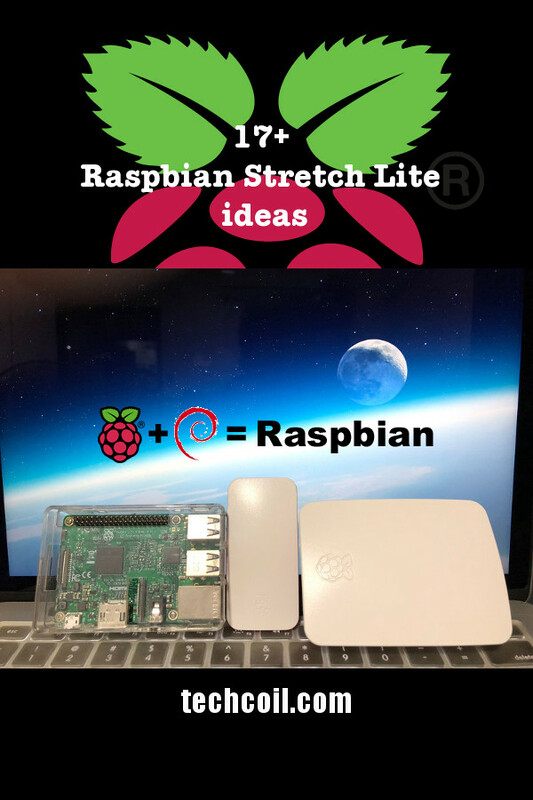 In case you are looking for project ideas based on Raspbian Stretch Lite, here are some ideas for you. When you have a Raspberry Pi that has a RJ45 port, follow this guide to setup Raspbian Stretch Lite with SSH server enabled. After you had done so, you will then be able to configure your Raspberry Pi from another computer in the same network. When you have a Raspberry Pi that has a WiFi adapter, you can setup Raspbian Stretch Lite with remote configuration over WiFi on first boot. As a result of that, you will be able to configure your Raspberry Pi from another computer over WiFi. When your Raspbian Stretch Lite starts up for the first time, there are some recommended configurations to perform. In such a case, follow this guide to perform some configurations on the first run of your Raspbian Stretch Lite. Before you can host multiple websites from home with a single IP adddress, you need to setup a reverse proxy server. So build a reverse proxy server with Nginx, Certbot, Raspbian Stretch Lite and Raspberry Pi 3. After you had done so, you can reach your websites via different domain names to the same IP address. Because of dynamic DNS, Namecheap is the best domain name registrar for hosting your web server at home. When you get your domain from Namecheap, this is how to setup DDclient on your Raspbian Stretch Lite to update your domain when your home’s public IP address changes. Whenever you feel like coding, a Raspberry Pi 3 Codiad Web IDE will enable you to do so with a web browser. Since software deploying and building tasks are repetitive, you can offload them to an instance of Jenkins. So setup Jenkins on a Raspberry Pi 3 with Raspbian Stretch Lite to help you automate the boring and repetitive stuff. Since Python 3 is a versatile programming language, it can be used for realising many Raspberry Pi use cases. When you have a Python 3 Flask application, you can follow this guide to deploy your Python 3 Flask application on Raspberry Pi 3 with Raspbian Stretch Lite, Nginx, Supervisor, Virtualenv and Gunicorn. When you feel aimless in realising a new project idea, you can try planning your project on a project management platform. In such case, setup Taiga project management platform on Raspberry Pi 3 with Raspbian Stretch Lite to help manage your next project. When you have a project based on MariaDB and MySQL running on Raspbian Stretch Lite, you can consider using phpMyAdmin. Since phpMyAdmin ease database administration, setup phpMyAdmin on your Raspbian Stretch Lite, Nginx, MariaDB / MySQL and PHP 7 LEMP stack. Another good content management platform is a Wiki site. In case you need it, this is how to setup your own DokuWiki site on a Raspberry Pi 3 running Raspbian Stretch Lite.